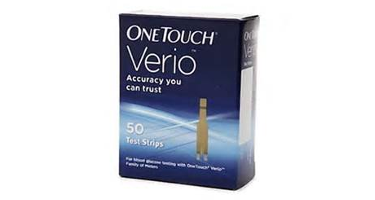 OneTouch Verio test strips will automatically draw-in blood, for fast, accurate results. Flexibility to test using either side of the test srips. No coding.